Moving office is never an easy task. Whether you are moving to a new unit in the same building or a complete relocation across the country, the logistics involved in moving equipment, files and people are fairly complicated. That’s why it’s so important that you make the move as easy and straightforward as possible. It’s crucial that all of your belongings are organised so that everything is accounted for once you have moved into your shiny new office and all confidential documents are always protected. 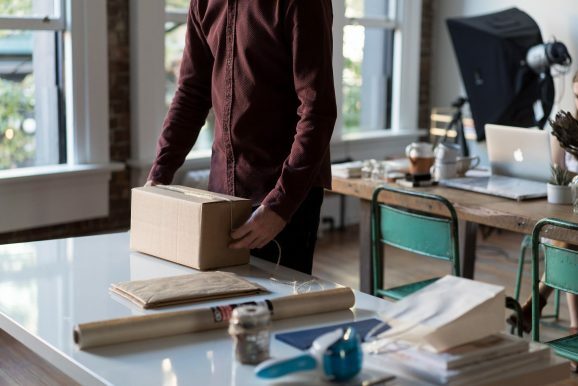 With that in mind, we have put together some useful moving office advice to help make your relocation go off without a hitch. There is never a better time to have a clear out than when you are already having to go through your office drawers, cabinets and desks in order to pack them away for moving. Have a bin and shredder nearby, so that you can throw away anything that is clearly rubbish and shred any documents containing data that has served its purpose (not sure what to shred? Check out our blog post on what business documents need secure shredding). Since the introduction of GDPR in 2018, it’s imperative that you stay on top of any out-dated paperwork that has accumulated. These files will likely contain sensitive information and pose a security risk if managed incorrectly. By going through all documentation in the office, you can pack your belongings, de-clutter your workspace and destroy sensitive data all at the same time! 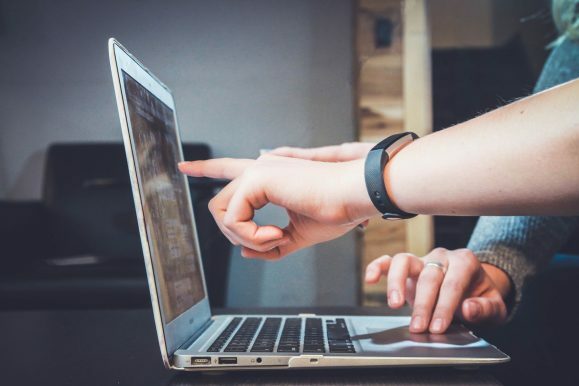 The vast majority of businesses accumulate a significant amount of sensitive data, much of which you will need to keep. One of the best pieces of moving office advice that we can offer is to use this time to scan as much of your paper information as possible to computer files. You will then be able to securely destroy more unnecessary paperwork and have less to move to your new office. With copies of your documents saved online, there’s less chance of the odd piece of paper being left behind or falling out of a folder during the move, and therefore less chance of confidential information falling into the wrong hands. 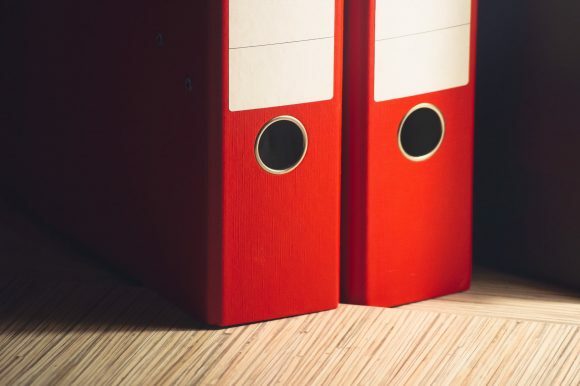 Of course, while the truly “paperless office” is yet to become a reality, you will still need to retain physical copies of most of your documents. Scanning and storing your important files online provides you with a backup should anything happen to the originals. Another benefit of this is that you will have less to unpack in your new office, helping you to make better use of your space and preventing a fresh build-up of clutter. Why not go one step further than scanning your documents and take full advantage of a professional document storage service? Once you have packed up your files and securely shredded all unnecessary paperwork, you can let a storage facility take your confidential documents off your hands. Properly indexed, securely stored and easily retrieved with an online file management service, storage facilities keep your files safe and your office clutter-free. However, make sure you only store your files with a professional and fully GDPR compliant facility (such as Flexible Storage). The chances are that your new office will not be identical to your old one, especially if you have downsized your storage. Now is a good time to look at the condition of your current chairs and desks, in order to identify any items that are past their best. If you have a floor plan drawn up, you can see exactly what you need and where it will go, so that your furniture can be put straight into place when unloading. Any surplus furniture can be donated, recycled or sold and any new furniture you might need can be ordered for delivery on or before moving day. It’s easy to forget about telecommunications until the very last minute – usually when you have unpacked at the other side, but if you think ahead, you can discuss your needs with your Internet and phone providers, helping to ensure there is no downtime in service. You want to be able to unpack and set-up as quickly as possible in your new office, in order to keep your business ticking over and your customers happy. Make sure your team is giving you plenty of help moving office, so that you can also take the opportunity to inform them of fire exits, new procedures and security processes for the new premises. Let them know where they should report on moving day and the exact location of the new offices, as well as establish a seating plan ahead of time. While this may seem like obvious advice, doing most of this in advance will ensure your move is quick and easy and that everyone is comfortable with their new working home. You’d be surprised how many things are overlooked in the hustle and bustle of an office move! There are so many things to consider when moving office locations and it can all seem rather overwhelming at times. By taking things one step at a time, planning in advance and taking advantage of professional services, you can keep a clear head on moving day, helping to get your business back up and running as quickly as possible. Contact the Flexible Storage team today to find out how our secure, professional storage services can benefit your office move, saving you valuable time, energy and money.